Eurovision Media Services and Eutelsat renew satellite partnership. Paris, February 2018: Eurovision Media Services – the business arm of the European Broadcasting Union (EBU) – and Eutelsat have announced the renewal and expansion of their partnership for capacity in Ku-band via a number of contracts on the EUTELSAT 10A satellite. 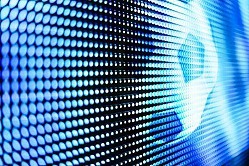 These multi-year, multi transponder contracts will further expand the infrastructure used by Eurovision Media Services across the Eutelsat fleet to support the live transmission of major news and sporting events, including major football leagues and tournaments, to audiences in Europe and beyond.